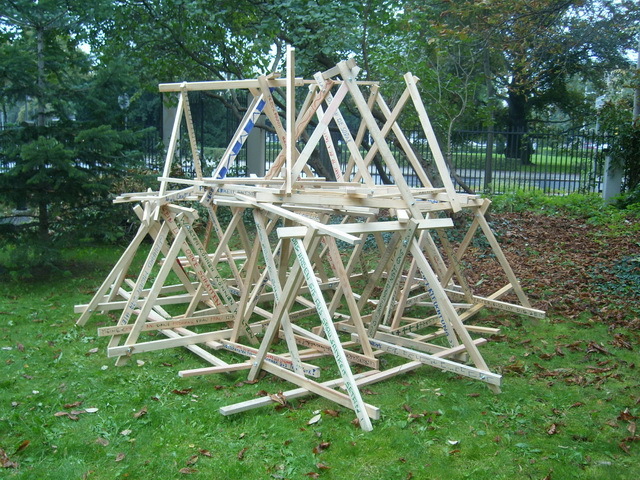 Babel was an interactive work I created for the international BARDINALE Poetry festival in the Literature House Dresden 2010. 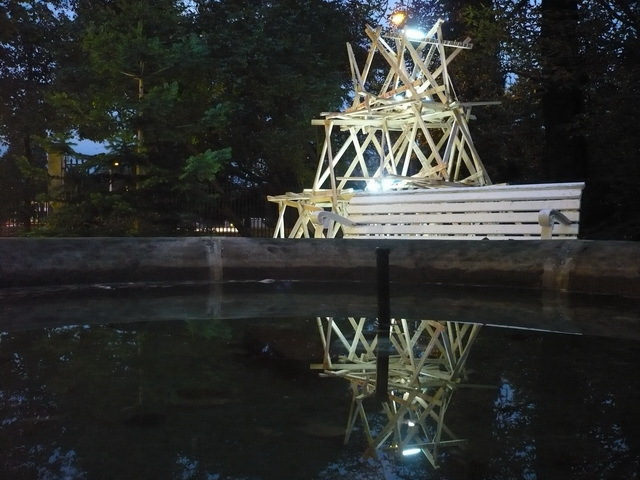 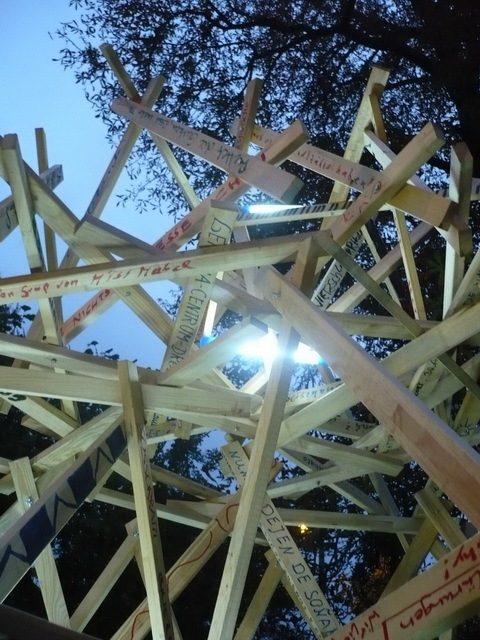 I used the famous biblical story to provide the visitors to the festival with a work that they themselves built with their thoughts, messages and quotations. 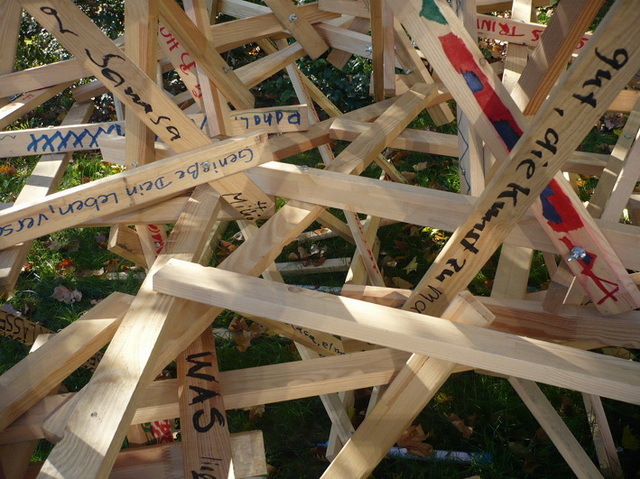 The poets and writers invited to the festival also contributed. 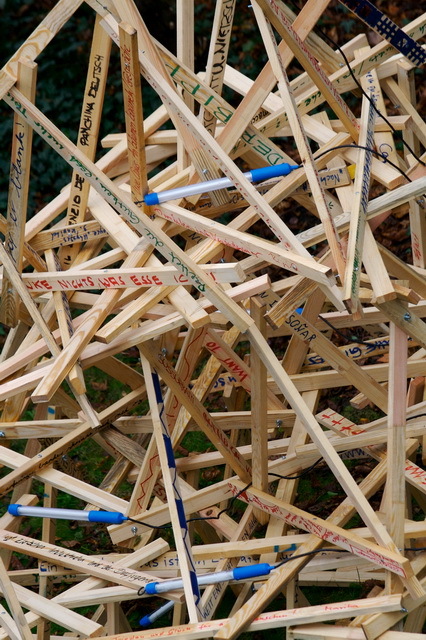 The idea was simple, a large number of wooden sticks were laid out to be written on by the pens provided. 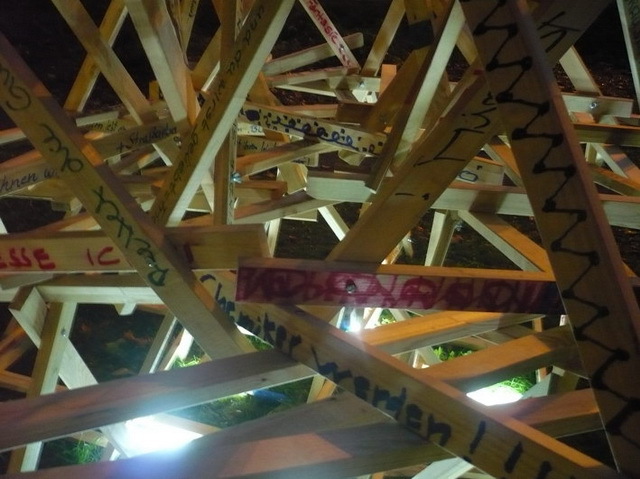 These sticks were then used to create a tower where texts and thoughts produced a three dimensional sculptural collage of words and perspectives to the festival visitor.